Andy Serkis won’t be revealing his face in a film any time soon. But at least we finally know the identity of his character in Star Wars: The Force Awakens. Continuing to wear the mocap makeup – dots and all – it has been been confirmed that the actor will be playing Supreme Leader Snoke. More after the break. 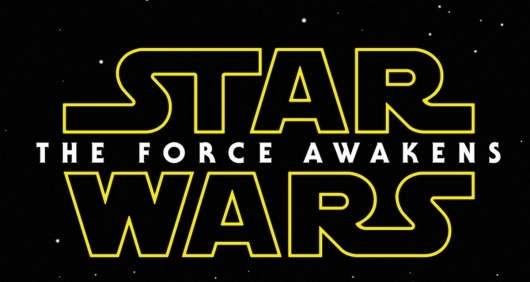 ‘Star Wars: The Force Awakens’: Adam Driver, Lupita Nyong’o’s Characters Revealed! Happy Star Wars Day everybody! This day is especially important since it is the year we are getting a new film from the beloved franchise, Star Wars: The Force Awakens. From director J.J. Abrams, the new film will see a whole new adventure featuring old and new characters. Much of what we have seen through two teasers has been wrapped in a shroud of mystery, and we only got a few clues as to what the sequel could be about at a recent panel at Star Wars Celebration. One of the biggest mysteries is who is Kylo Ren and who plays him. Well, that mystery is solved today, as Vanity Fair has revealed who the actor is, along with a batch of photos that give us a peek at some interesting characters. Check out the details and photos here below. Periodically, Disney releases news photos from their Disney Dream Portraits series by famed photographer Annie Leibovitz, which takes celebrities and puts them in the roles of iconic Disney characters in their fantastical movie settings. For instance, for portion of the series, Olivia Wilde became the Evil Queen from Snow White and the Seven Dwarves; Penelope Cruz was Belle with Jeff Bridges as the Beast from Beauty and the Beast, and Queen Latifah was transformed into the evil Ursula from The Little Mermaid (see those images here). Now, Disney has released a new portrait – this one is of singer/actress Jennifer Hudson as Tiana from Disney’s animated feature The Princess and the Frog. 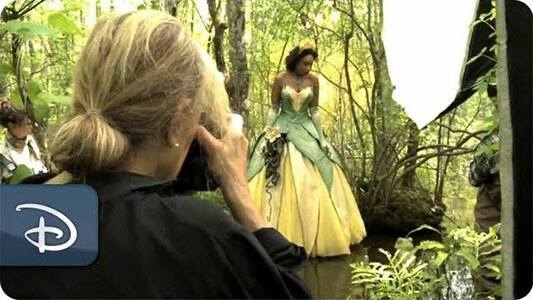 The photo shoot took place in an actual swamp, called The Great Swamp, and you can see the new portrait, titled “Where you always follow your heart,” as well as a behind-the-scenes video here below. 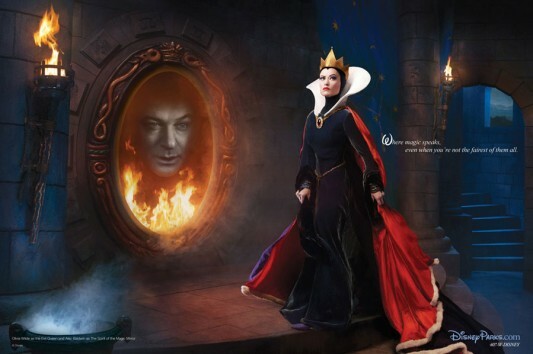 A few days ago, we posted a sneak peek photo unveiled by Disney of actress Olivia Wilde being made up to look like the Evil Queen from Snow White and the Seven Dwarves with the headline, What’s Olivia Wilde Up To With Disney?. We had a few guesses as to what Wilde was up to, one of which was the possibility of her being involved in a new series of Disney Dream Portraits by famed photographer Annie Leibovitz. Turns out, that’s exactly what it was. Disney Parks Blog has revealed the new photo series, which takes well-known celebrities and transforms them into the role of famous Disney characters, all with stunning background scenery. See all three images from the new series here below.